The tire defect scandal hit the United States like wildfire during the 2000s, leading to hundreds of thousands of defective tires recalled and taken off of the roads. Unfortunately, recalled tires aren’t always put out of service. In fact, a mere 20 percent of affected tires are estimated to have actually left our roads. That means that thousands of cars are still driving on recalled tires, presenting significant danger to their drivers and other motorists. Why were tires recalled? Design and manufacturing defects came under fire in the early part of this decade when it was revealed that many SUV and truck tires failed during normal driving conditions, leading to catastrophic tire blowouts, tire tread separations, and potentially fatal rollover accidents. Recalled tires include those from Michelin, Uniroyal, B.F. Goodrich, Firestone, Bridgestone, Goodyear, Cooper, Dunlop, Continental, and Kelly Springfield. In order to determine whether your tire has been recalled, go to www.recalls.gov and click on “tire recalls.” You can also ask your dealer or auto mechanic for more information. Unfortunately, many consumers do not realize their tires have been recalled until after their catastrophic accident. In these cases, the consumers should protect their legal rights and hire an experienced and competent personal injury attorney to help them pursue compensation for the injuries they sustained while driving on recalled tires. Recalled tires present a significant danger to drivers and passengers on America’s roads. Unfortunately, the only recourse many consumers have is to sue in civil court. Assisted by an experienced tire recall attorney, they can pursue compensation for lost wages, psychiatric treatment, pain and suffering, medical bills, physical therapy, vocational rehabilitation, and more. Our Law Firm has dedicated its entire legal practice to protecting consumers and helping those who have been injured due to the negligence of large corporations like Bridgestone and Goodyear. We have a stellar reputation for a reason – our strong results. We treat each case like our only case, pursuing every legal avenue as we usher it through the court system. If you have been injured due to recalled tires, act today. Your time to file a personal injury lawsuit could be limited by local statute. Call our Law Firm today for more information and a free, confidential case evaluation. If there’s one grave mistake victims of personal injury do, that would be choosing to keep quiet about what happened even they were hurt due to negligence. True, filing a case against the person at fault can be expensive, time-consuming and tiring in the process. But all these efforts can actually be worth the fight, especially if you have found a good personal injury lawyer to handle your case. Choosing to file for a personal injury claim is a gesture that you truly value your life and would want nothing less but to live it to the fullest. When you are physically and psychologically injured due to an accident, the quality of life that you were supposed to be enjoying is significantly reduced, to think it shouldn’t have happened in the first place. However, if you rather chose to stay silent, you may no longer be able to enjoy life in the way that you used to. Personal injury cases are not necessarily geared towards making the person responsible for the accident to pay in terms of serving time in prison. Rather, they are compelled by law to take responsibility for their negligence and provide the victim of the accident the suitable amount to compensate for all the damages that he or she had suffered. While money doesn’t really bring back the victim’s life to normal, it is still helpful in paying for previous and current expenses, and reshaping individual’s future in a much brighter light. As a victim of negligence, you must understand that while accidents do happen, most of them can be avoided. Such incidents don’t really have to take place, had the person at fault been extra careful. And even if the accident was meant to occur, you shouldn’t have been the one to bear its repercussions. Hence, if you do have a viable personal injury case, it is best that you seek the services of a lawyer right away. With a legal counsel at hand, you become more capable of fighting for your rights not only as a victim of recklessness, but as well as the right to life. When making a claim for personal injury, you should likewise understand that you may not really go to court and continue with a lawsuit, unless otherwise the damages you’ve received are totally severe and if the other party doesn’t want to take responsibility for the accident. In most instances, you will be seeing the party at fault in a closed-door, out of court meeting in order to negotiate for a settlement package which can be used for you to rebuild your life and live it the way you want once again. In case you have decided to pursue a personal injury claim, the first thing you have to do is seek the services of a qualified lawyer. There are lawyers who are focused on personal injury cases, and you can hire their services to take you through the whole legal process of making a claim. A personal injury lawyer does more than just provide you with legal representation. 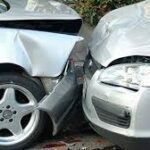 One, he follows up the insurance companies responsible in releasing the payment for the damages that you sustained from the accident, so that you can receive them at the soonest possible time. He also provides you with the necessary representation when meeting with the party at fault during settlement meetings, as well as when you decide to take the case to court. Fighting for the right to life is never an easy task; but you also don’t want to make it a long and tiring struggle, right? Thus, rather than keeping quiet about your case, it’s best that you start working with a personal injury lawyer-this way you are able to find the path towards the justice you deserve, the same kind of justice you need in order to leave the past behind. Filing a claim for personal injury is not really that easy. There are times that even if you already are the obvious victim of an accident, you may still not be compensated for the damages you have incurred. However, this doesn’t mean that you were not properly justified by the person responsible for your injury. Certain factors, such as the extent or degree of the injury, the preexisting circumstances that have led to the accident, and as well as the capability to pay by the party at fault are considered to gauge whether you have a viable case and how much can your claim be worth. Hence, if you are planning to file a case involving personal injury, then you should be working with a dependable personal injury lawyer. Among many things, this kind of lawyer specializes on the different forms of personal injury cases, and through his help you become more capable of getting the justice you truly deserve. Years of experience in the legal industry. 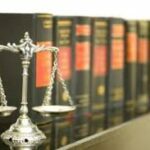 How long has been the lawyer in the field of personal injury? 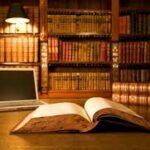 Being active for several years in the said field makes the lawyer more appealing to clients, practically because he is well-versed in this area of specialization. 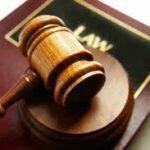 How successful is the lawyer in the field of personal injury? You may check how many cases has he won and lost in court, as well as the out of court settlements in which he was able to provide his clients with favorable packages. Ratio between settlements and lawsuits. Aside from years of experience, you should also see how many cases has the lawyer handled. This is for you to check the background of the lawyer and find out how he works out his strategies for his clients to get a good claim. Looking at these figures also gives you an idea if the lawyer is more into getting the money or if he actually cares about his clients’ true causes of filing a claim. When did the lawyer last handle a personal injury claim? You also have to know the last time the lawyer took a case, as well as the most recent settlement that he closed. This is because the lawyer should know how to come up with new strategies given the ever-changing circumstances of client cases. In essence, he should be well-versed in looking for opportunities for his clients to file and effectively receive a claim. Does the lawyer have a good legal research team? Lastly, you have to check if the lawyer has a reliable research team. This is because personal injury cases work more on following up with insurance companies, making calls to negotiate settlements and investigating the nature of the claim. 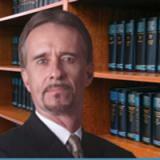 More importantly, you should be comfortable with the lawyer who will handle your personal injury claim. You need to work with a lawyer who is not only into getting your claim resolved, but more importantly, you need to be with someone who can actually understand your plight and give you the right legal advice. This is because there are personal injury lawyers who are eager to pursue a settlement with the other party just to resolve the case. While this resort is always the more practical choice, for some clients, it’s not really the money that counts as to why they filed a claim. A good personal injury lawyer should understand and respect that, as these clients are after giving value to their lives which have been damaged due to unnecessary negligence caused by others. Located in San Antonio, South Texas our Law Firm provides excellent, understanding service to those looking for a personal injury attorney. We know that those seeking out the help of a personal injury law firm are going through very challenging times. In the worst cases, those who come to us may have permanent, life-altering injuries, such as brain damage or paralysis. Even in the best of circumstances, relatively “minor” injuries, such as broken bones, can force people to miss work, prevent them from participating in activities they enjoy, or even make every-day tasks difficult, painful, or in some cases even impossible. The lawyers at our personal injury law firm understand how stressful and painful, both physically and emotionally, these injuries can be. Having served thousands of clients over the last twenty years, we know that each case presents a unique set of circumstances and affects the people involved differently. That is why the first thing we do in every case is listen. When you have your free consultation with a personal injury attorney, he will ask you to talk about the details of the event, how the other party responded, and how it has impacted your life. This last part is especially important given that the injuries you sustained will have an impact far beyond insurance costs and medical bills. Whether it’s because you are not able to play with your children as you did before or can no longer go for the long walks in the park that you once enjoyed, our personal injury law firm wants to examine all of the injuries you sustained, not just the financial ones. Once we understand your case completely, from what happened to the many ways that it has impacted your life, we will offer you information the information you need to move forward. We will explain how and whether our personal injury law firm will be able to assist you, the process of how we intend to get the compensation you deserve, and assessments of how long it may take to do so and how much you might reasonably expect to receive. This includes, but is not limited to, helping you in dealing with insurance companies, hospitals, legal documents, etc. With this information, you’ll be able to decide whether you want to entrust us with the responsibility of handling your case. Should you choose to do so, you can be confident that our highly experienced personal injury law firm will work diligently to ensure that you get a settlement that allows you to move forward with your life. For over two decades, the our Law Firm has provided clients in South Texas with top-notch service, building a reputation as an elite personal injury law firm. For all of the cases we’ve won, though, our greatest reward is the appreciation we receive from clients whom we have helped to get on with their lives after a difficult incident. Call today to set up your free consultation with a personal injury attorney to learn how you can be the next client we help. It’s a sad fact that you will, at some point in your life, be involved in a car accident requiring you to hire some good car accident attorneys. Even if you don’t drive a car, you might be involved in an accident as a passenger or as a pedestrian where you need some car accident attorneys. 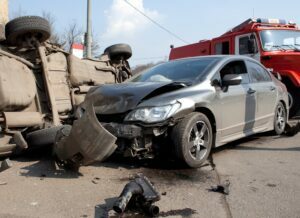 Especially in high population density areas, but in fact, anywhere where there are cars, car accident attorneys are a necessary part of life these days. By far the leading cause of car accidents is when the driver becomes distracted whilst driving. Unlike volcanoes, earthquakes and falling rocks or trees, driver distraction is something that can be prevented and so car accident attorneys on both sides of any claim will be trying to prove exactly what the driver was and was not doing in the seconds leading up to the accident. Aggressive or reckless driving is also a major cause of accidents, often forcing other drivers and pedestrians to use defensive tactics to avoid serious or fatal injury. Gathering evidence from witness statements and interviews is something that car accident attorneys are experienced at doing. Driving whilst under the influence of drugs or alcohol can also inhibit reaction times and limit a driver’s observation skills. 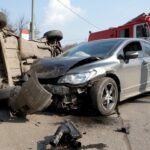 Handling the legal ramifications of such negligence and proving what part it played in an accident is one of the things that car accident attorneys are trained to do. Car accident attorneys know that speeding is a major cause of car accidents and can act as a multiplier on resulting fatal injuries. At 30 miles per hour a child struck by a car has an 80% chance to live. At 40 miles per hour a child struck by a car has an 80% chance that they will die. Determining what part speed played in the narrative of the accident is something that car accident attorneys deal with all of the time. 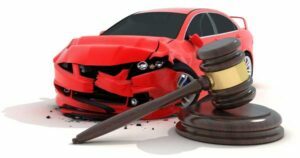 You need car accident attorneys that are experienced in handling cases like yours all of the time; that are talented negotiators who can settle cases favorably before they reach court; and who are good communicators with you in an open and honest way. When you find good car accident attorneys to represent you, they’ll fight your corner to get you what you deserve. If you have filed bankruptcy recently, you may wonder if you can get approved for a home loan. You may also wonder if buying a home after a recent bankruptcy is a good idea for you. While a bankruptcy can make getting approved for a mortgage loan more difficult, it is still possible to get approved for a mortgage loan. In fact, there are more and more bad credit loan programs coming out all the time. Subprime lenders are focusing more on helping individuals with poor credit achieve home ownership. This is happening mostly because bankruptcies are still on the rise and there is an increasing number of people with bad credit who are looking for home financing. 1. Increase Your Credit Score – When you make your payments regularly, you improve your credit rating. Once your pre-payment penalty period is over, you should be able to refinance your mortgage loan for a much lower interest rate. After your bankruptcy has been discharged for over 2-3 years, you should have a much easier time qualifying for a lower interest rate mortgage loan. 2. Accrue Equity In Your Home – If you are just making rent payments, you are throwing your monthly payments away. When you own a home, over time, home values increase and you are working toward owning an asset. 3. Take Out An Equity Loan To Consolidate Debt or Get Needed Extra Cash – Once you have bought your house, as soon as 6 months or so later, you might be able to take out an equity loan on your home and consolidate any other debt that you might have since your bankruptcy or debt that could not be included in your bankruptcy. Taxes and student loans will not be discharged in a bankruptcy. You may also want to use the extra cash to invest in a business venture or for needed home improvement. 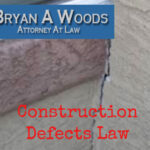 The aim of a construction defect case is to necessitate the responsible party to rectify and correct the defect. Usually, any complaints against defendants claim breach of warranty, breach of contract, negligence or strict liability. Most common cases of construction defects are established on the contracts that exist between the developer and the homeowner or the contracts between the contractor and their subcontractors involved in the construction of the home. These include engineers, suppliers, and architects. Under the law, the general contractor, developer or subcontractor is obligated to employ a certain degree of knowledge, skills and care that are normally employed by building professionals. This duty of care includes all parties who could possibly be injured or aggrieved by the construction defect, as well any future purchasers. The parties answerable for the irresponsibility of their subcontractor are the general contractors and developers. A homeowner is able to sue the developer or builder under privity of contract theories. These include breaches of obligation stated in the documentation of the purchase and/or any instructions for escrow. This normally surpasses a failure on the part of the builder to construct the home in a manner conforming to the specifications and plans. Most often, the purchase documents between the homeowner and the developer state a warranty in regards to the property’s condition. The law states that the individuals that build and sell new construction need to be held responsible to what is stated in the warranty, and that the finished property was both designed and built in an acceptable manner, with high-quality workmanship. Builders and vendors are subjected to the supposition that the property built was constructed to be sold, and should be used for a certain purpose. Homeowners are able to waive, and builders may deny implied warranties in some states. If there is a disclaimer included, they are interpreted against the developer or seller. In most cases, it’s hard to enforce a waiver. The implied warranty of habitability inflicts a stern liability on the general contractor. This theory that opposes a general contractor states that there is no need for them to prove the developer or general contractor was neglectful of the home’s construction. The plaintiff does have to claim the defendant was included in the existing defect of the home, that damage was caused by the defect and also that the defendant created or cause the defect. It’s a big responsibility to own a home, as it carries with it ongoing maintenance costs and concerns. The last worry that needs to be on your mind is a construction defect which was caused due to negligence by another party. If you think that your home’s defect is the consequence of someone else’s negligible actions, you should think about filing a claim. You can have your claim reviewed by an experienced construction lawyer and get some peace of mind.